Remember that scene in the movie Trading Places where Eddie Murphy and Dan Aykroyd bankrupted those two old rich guys by cornering the frozen orange juice market? It turns out that a guy actually once did make many millions of dollars by doing pretty much exactly as they did in the movie, only instead of orange juice, he bought onions… millions upon millions of onions. Besides getting filthy rich in his clever little scheme, he inspired the Onion Futures Act, which banned selling onion futures in the United States. Prior to his stint on the commodities market as the king of onions, Vincent Kosuga was an unimposing, 5 ft 4 inch tall onion farmer who had turned an unwanted 5000 acre patch of dirt into a veritable onion-filled garden of Eden. However, just making money growing onions apparently wasn’t enough excitement for Kosuga and in the early 1950s he turned his attention to trading onion futures through the Chicago Mercantile Exchange, colloquially known as the MERC. Before we get too far ahead of ourselves, we should note that a few years prior to this, Kosuga had tried to trade wheat futures on the commodities market and screwed up so badly that he brought his family to the brink of bankruptcy. Kosuga’s wife made him promise never to trade again after his failed trades resulted in them having to borrow money from a family friend just to stay afloat. Ignoring the pleas of his wife, Kosuga soon went back to trading, only this time instead of trading wheat, he stuck to what he knew and began trading onions. 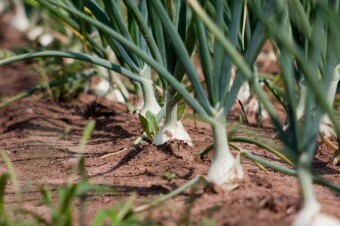 If you’re curious about why onions were such a lucrative market, that has a lot to do with the “limited storability of onions” which are typically planted and harvested at very specific times during the year, which meant that for traders the price of onions had the potential to fluctuate wildly on a near day to day basis. For example, when the onions were harvested, they typically commanded a high price due to the fact the market had been virtually devoid of them for many months and remaining stores of the previous crop were rapidly spoiling; however, this inevitably led to many farmers flooding the market with their harvest at the same time in a desperate attempt to get the best price, in turn dramatically lowering the price. The market for onions was so potentially lucrative that at one point in time, about 20% of all the trading that occurred in the MERC involved onions. In other words, Kosuga was buying onion futures in the hopes that the price would go up when that date arrived so that he could sell them for a profit. The thing is, as an onion farmer, Vincent held considerable sway over the market anyway and also wasn’t averse to shady dealings to turn a profit. For example, one year Kosuga desperately needed the price to go up to turn a profit. Knowing that his own crop was coming along nicely, Kosuga surmised that the rest of the market would follow suit and hence when the time to sell came, the market would be full of onions and the price would drop too much. So, in an incredibly sneaky and probably illegal move, Kosuga bribed an official at the Chicago weather office to issue a severe frost warning (which would lead to many onion crops failing). There was no such frost coming, but when this news leaked, people began panic-buying onions, driving up the price and thus making Kosuga his money. As shady as that move was, it doesn’t even come close to what Kosuga did in 1955 when he teamed up with his friend Sam Siegel. Siegel owned a cold storage facility which he used to store, amongst other things, onions. Between the two men, they effectively had the financial and physical capability to buy and store almost every onion in Chicago, so that’s exactly what they did. In the Autumn of 1955, after almost a year of frantic buying, Siegel and Kosuga owned 98% of the onions in Chicago (about 30 million pounds worth). With literally the entire supply of onions under their control, the men were then able to artificially inflate the price of onions to about $2.75 a sack by severely restricting the supply. After they’d inflated the price of onions, the men then enacted the most sinister and brilliant part of their scheme- they began short selling onion futures, which essentially meant they were selling onions in the hope that the price would fall, allowing them to buy them back for a fraction of the cost, making potentially a huge profit in the process, so long as the price fell. Because the men owned just about every onion in the city, they could guarantee that the price of onions would fall simply by flooding the market with the millions of onions they were holding in reserve as soon as the sales were final. As for Kosuga and Siegel, they got away completely scot-free because they’d technically not committed a crime. 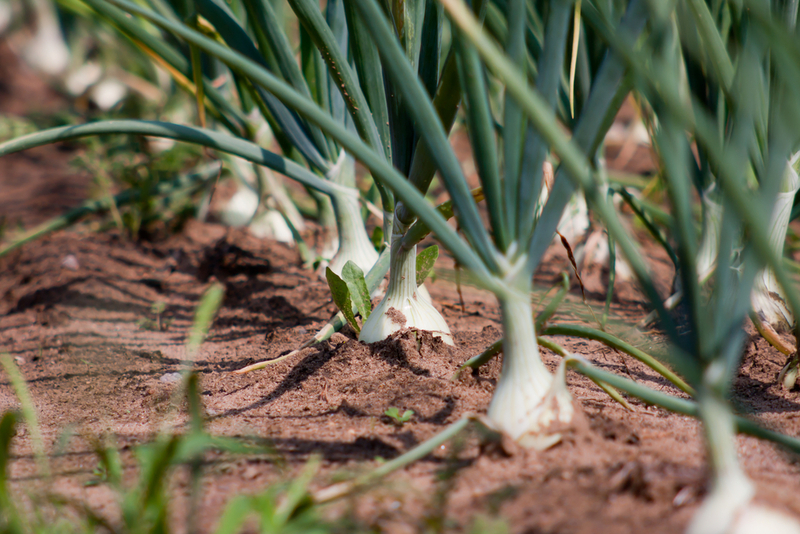 As a direct result of Kosuga’s actions though, the U.S. government enacted the Onion Futures Act in 1958, making it illegal to trade onion futures. Perhaps the most curious part of all of this is that Vincent Kosuga was by all accounts a nice guy when he wasn’t ruining people on the onion market. For example, he was a hugely respected and loved philanthropist almost his entire life, and the lion’s share of the money he earned trading actually went straight to some charity or other. He was also well known for showering friends and family in lavish gifts. Kosuga was also a very devout Catholic and he donated so much money to help fund the church’s charitable activities that he was given a private audience with three different Popes. To top it all off, Kosuga was so loved by his community that Pine Island (the place he called his home) voted him their citizen of the year in 1987. If you’re wondering, after Kosuga made his vast fortune, rather than retiring to a tropical island, he opened up a restaurant called “The Jolly Onion Inn” where he worked as a chef. I would believe Kosuga was a Marrano as Sam Siegel was Jewish and Jews stick together like conjoined twins. They don’t do business with non-Jews generally speaking.